ASHEVILLE, N.C.—Hi-Wire’s South Slope Specialty Brewery is currently transitioning from brewing a wide variety of one-time-release ales and lagers to brewing exclusively sour and wild beers. Although this shift will not change Hi-Wire’s core lineup of beers, it will make the company one of the nation’s only breweries to have a specialty program that revolves around both craft lagers and sour beers. 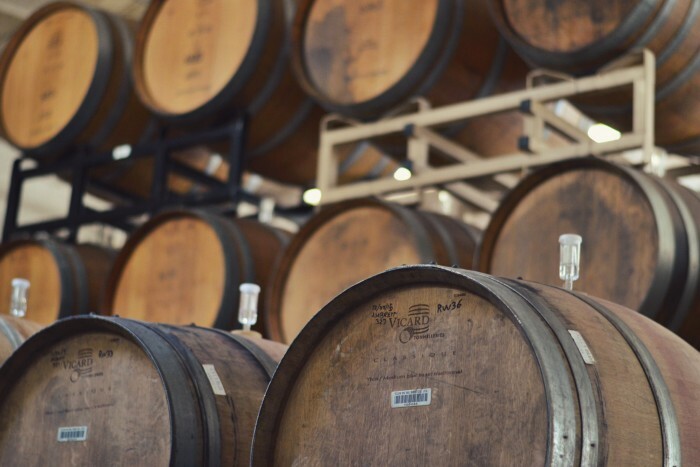 Few other breweries in the country focus on both craft lagers and sour beers because of the amount of time both take to produce, anywhere from eight weeks for specialty lagers up to eighteen months for barrel-aged sour beers. Despite the time and money required to fulfill this commitment Hi-Wire is dedicated to creating the highest quality of both of these historic styles of beer. The souring of the brewery will be lead by two brewers – Luke Holgate, Hi-Wire’s Head Brewer, and Jonathan Parks, Hi-Wire’s Head Specialty Brewer. Both men are dedicated to quality and craft and are excited to launch Hi-Wire into the world of sour and wild beer. In the last two weeks, Hi-Wire moved several 30–barrel tanks from its South Slope Brewery to their Big Top location to provide more space for barrel storage at their budding wild-beer brewery. Although, no formal plans are in place for the first release of specialty sour beer, Hi-Wire Brewing is confident the first beers from this new program will come out this summer. Hi-Wire expects a fresh shipment of barrels to arrive in the coming weeks along with some additional equipment necessary for the project.